Miriam came back to the University of Sierra Leone, where she taught in the Linguistics department before leaving in 1991-1992. Currently, she's heading the library at IPAM, a constituent college of the University of Sierra Leone. The Institute of Public Administration and Management (IPAM) is in the centre of Freetown at AJ Momoh Street, Tower Hill, close to the British Council, Statistics Sierra Leone, the West African Examination Council (WAEC) and the National Fire Force headquarters. The institute has four departments offering a range of business, information technology, finance and public administration courses to the public. "I'm involved in a number of university-wide initiatives, especially relating to library development and ICT (information and communication technology) deployment. "Like everyone, the Ebola outbreak jolted me, and I did wonder if my timing had been off. My children kept putting pressure for me to leave. But I couldn't leave -- not just after a few months into my return. "So I'm part of a group of professional women, who set up a women's empowerment organization--Salone Business Women's Hub. 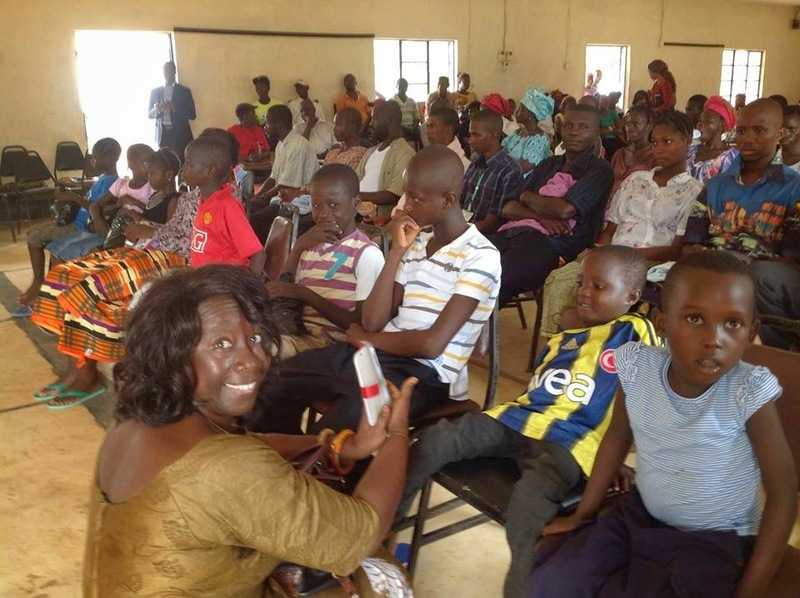 When Ebola broke, the hub decided to redirect their efforts to help Ebola survivors. In the photo, Miriam poses with families at a Salone Business Women's Hub event, where a donation was made to survivors at the Ebola hospital in Hastings. The town is in the rural district of the Western Area of Sierra Leone and lies approximately 15 miles east of Freetown. The Ebola hospital is exclusively manned by Sierra Leonean medical officers. "Life in Freetown goes on, albeit warily. I must say though circumstances can't be more different. The now familiar wailing of ambulance sirens sometimes transports me back to the U.S.! "That's my other home that I plan to visit every year, for from 3 weeks to 5 months. Who knows?